Reel Talk Online: Oh Snap, They're Trying to 'Take' Liam Neeson Now?! Good Luck. Oh Snap, They're Trying to 'Take' Liam Neeson Now?! Good Luck. After two Taken films, you'd think by now that villains would realize that Liam Neeson is NOT to be f*cked with. But I guess we need another movie just as a reminder. As many of you already know, I was a HUGE fan of Taken (I still watch it every time it comes on TV), but I felt the sequel was painfully awful. 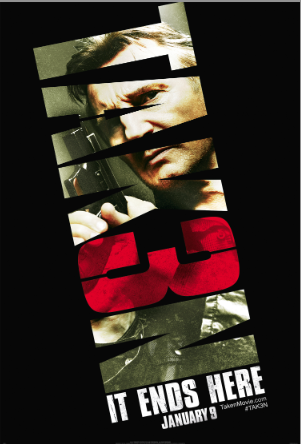 So when I heard about this third installment, simply titled TAKEN 3, I had very low hopes for it. I mean, who else could be abducted from this unfortunate little family? TAKEN 3 hits theaters everywhere January 9, 2015. But I too am excited and intrigued by Taken 3. I'll probably see this Opening Day too. Shrug.